Halal food in Don Mueang International airport! As I know, in Don Mueang international airport there are two restaurant/shop serve halal food. First, in the Don Mueang domestic terminal. The shop name is Bangmad halal. Here you can find variety of halal food from drinking water to heavy food such as rice, bread. Despite of the this restaurant/shop are located in the domestic terminal, this two terminal (international and domestic) are connected. 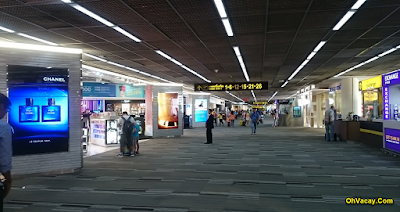 To get here you can walk on the same floor from international terminal to domestic terminal. In addition, in the Don Mueang domestic terminal there are a prayer room for the Muslim. The facilities in the prayer room is comfortable and user-friendly. Meanwhile, if you already pass the immigration and security check, in the international hall, near to gate 24 there are one halal shop. The shop name is Au We White Coffee. Here you can find the meal like bread, tea, coffee, smoothies & fruit, burger, Maggie cup and others. The price offer is reasonable.